I'll admit it, when I used to think of Estée Lauder, I would think of my Mom. Estée Lauder was safe, mature, the sort of cosmetics dignified women wore. Then I saw Cyber Eyes Shadows and that idea was blown completely to dust. They are *gasp* edgy! If you spend anytime at all on blogs then you know metallic eyes have been and continue to be a red hot look. 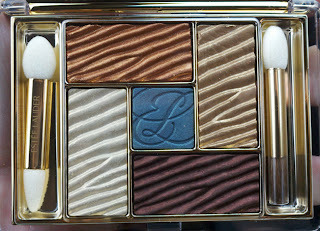 Estée Lauder Cyber Eyes carried the metallic banner and lead the charge. The original collection included six limited edition shadows and they are now very hard to come by. That is why the Bronze Goddess Bronze Sands Palette is such an amazing find. In it you get five Color Gelée Powder EyeShadows. 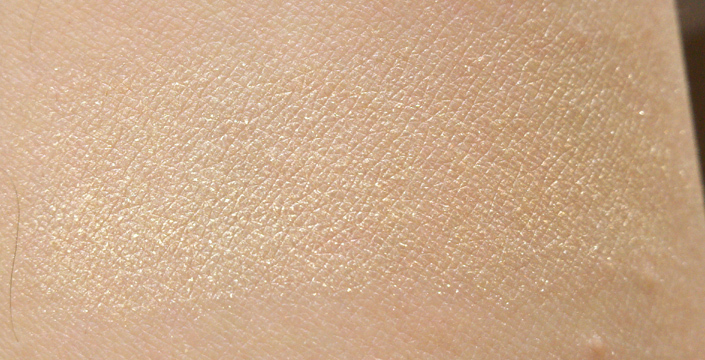 I have heard the texture of this shadow described many ways, I find this is very similar to MAC Metal X shadows (only not horrible). 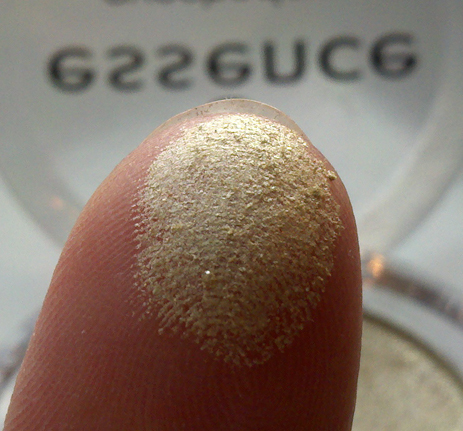 The next shade is a subtle metallic gold. This color reminds me a lot of L'Oreal Infallible Eternal Sunshine in both color and finish. Next is the coppery orange shade. This is the knockout of the bunch. This is more of a metallic orange, I think copper tends to have a pink undertone, this has none of that. This was the most opaque and the most metallic looking. The darkest shade is a chocolately plum color. It is not really metallic. I think this finish is much closer to a Veluxe Pearl with a slight burgundy shimmer to it. It has a much more noticeable purple cast in person. So, final thoughts. I am disappointed, yet content. 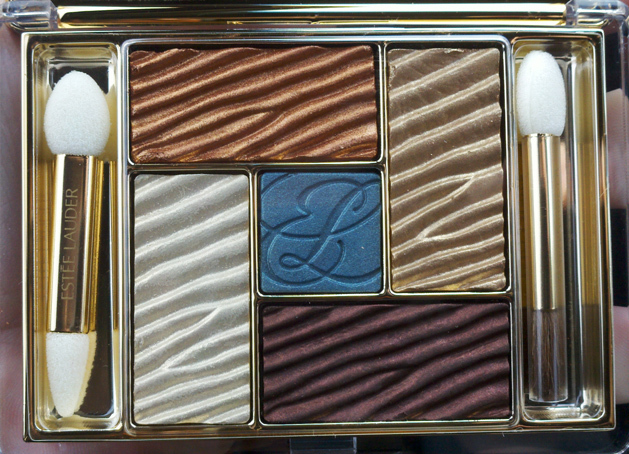 I still think this is a wonderful palette and none of these shadows are duds. They just aren't exactly what I expected. I think they all have a place in your beauty wardrobe and if you haven't checked out Estée Lauder shadows, you really should. I've started looking away from MAC for quality pigmented shadows and I find myself going back to Estée Lauder again and again. I expect this palette will sell out pretty quickly so I recommend you grab it now while you still can. 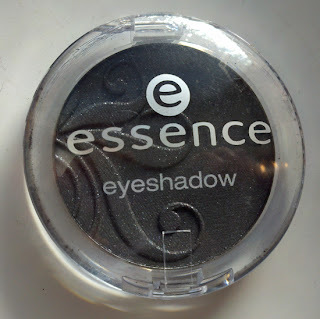 Essence Cosmetics Lip Liners are .99 Cents of Awesome! I recently blogged about my new favorite flesh toned lip liner, Soft Rose by Essence Cosmetics. Since then, I've been bitten by the lip liner bug. I hunted around a few stores and scooped up two more shades to try. Trust me, Essence is a brand you will be hearing a lot about in the future. The two shades I'll be swatching for you are Soft Berry and Cute Pink. Essence Cosmetics now has a total of 6 lip liners, including a new shade that launched with their Spring/Summer collection. Soft Berry is a Mauved Brown, the name that comes to mind is Rosewood. Cute Pink is a cool bright rosey pink. 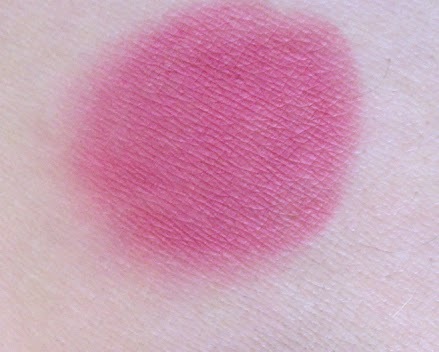 It is a perfect liner for MAC Viva Glam Cyndi, so think that color, in a liner. These liners are firm enough to give you a nice clean line, but soft enough to glide easily over the lips. I find they apply evenly and are not overly drying. I still enjoy putting a thin layer of Lanolin under these, just to help with some extra hydration. I normally dislike pencil liners, I find most to be dry and clumpy and all around unpleasant to work with. 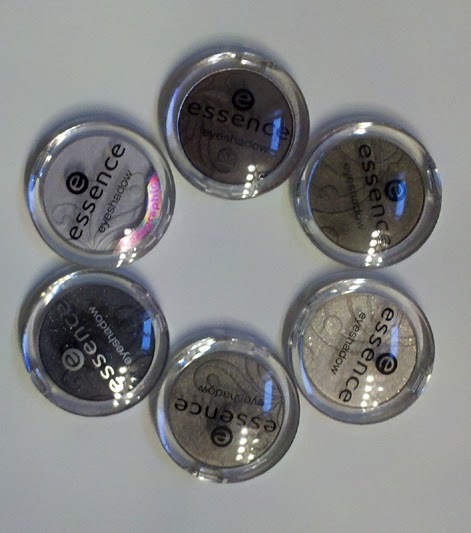 Essence lip liners are a real treat and a great performer for those shopping on a budget. I am blessed in many ways, wonderful husband, bright healthy children, I am a lucky woman. However, there is one area in which I am seriously lacking. I was not endowed with anything resembling long lashes. 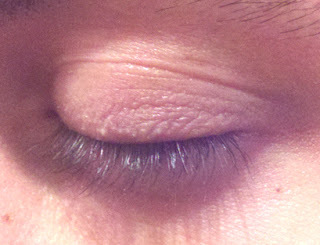 And to add insult to injury, I am surrounded by thick, luxurious lashes. 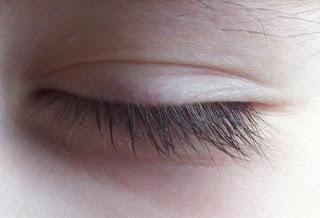 I do what I can to get by, I muddle through and until recently I've given my lashes very little attention. Mascara is pretty much all the same to me and I've only owned 2 lash curlers in 37 years...they pinched, pulled and essentially resigned me to a life of lash loathing. 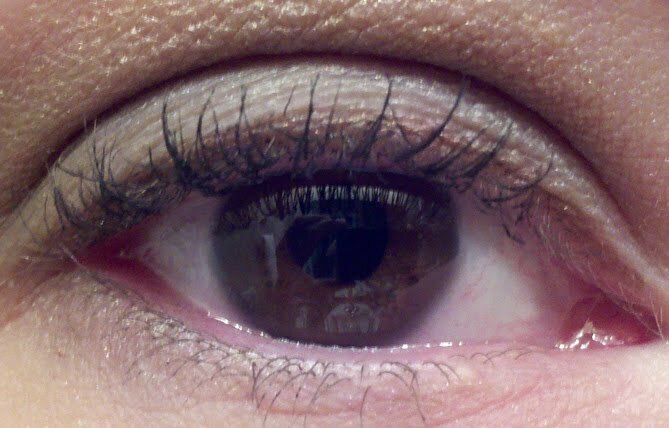 Over the last year, I've started to think seriously about improving my lash standing. I've considered a Shu Uemura curler, but I could never bring myself to spend $20 on a curler. I just don't have it in me. So I poked around, did some research and made my choice. I gave the Revlon Cushion Grip Lash Curler a go and I was pretty darn impressed. It was kind of amazing. My main gripe with curlers is they always pinch my eyelids and only curl the very middle lashes. My lashes grow straight out and down so this looks fairly foolish It got to a point where I thought my eye sockets must be deformed because no curler could get in the nooks and crannies. 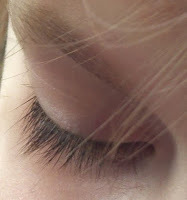 The Revlon Curler fit snugly against the base of my lashes and easily imparts a nice natural curl with minimal effort. I can rock the curler from inner to outer lashes and give those a nice curl as well. 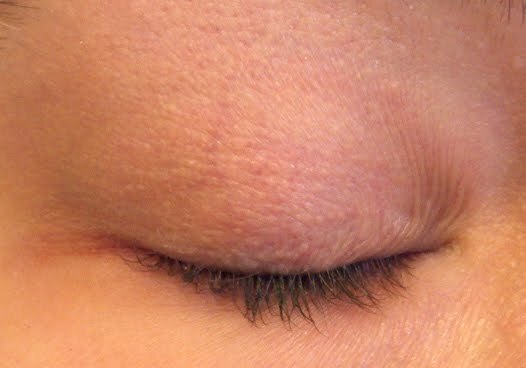 No more pinched eyelids, no more cringe crimping. The curler comes with cushion grips (mine is a limited color) which give you a no slip grip while you are working. You also receive one replacement curling pad. Best of all, you don't have to spend a fortune! 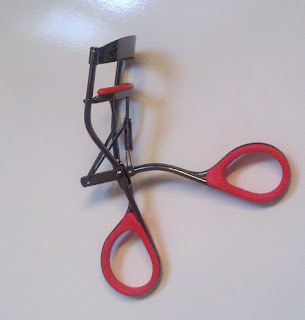 If you are looking for an affordable, effective lash curler, I think this is the tool for you. 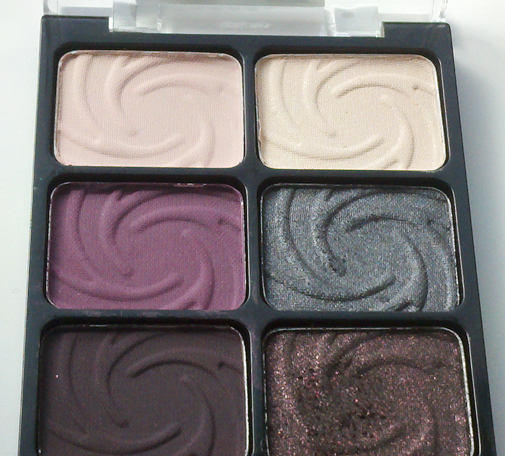 Wet 'n' Wild Color Icon Lust Palette Fans the Flames of Passion! By now the awesomeness of Wet n Wild's eye shadow palettes is an established beauty fact. Lust is no exception to this rule. 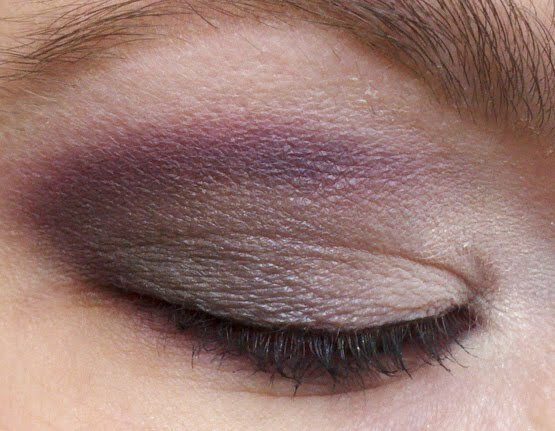 Any fan of purple shadows will fall head over heels for this versatile palette. I managed to finally locate this palette in a Rite Aid in a remote area of Oregon. No more harassing my husband every time he goes to a store "Oh, do they have Lust?" "Do you see Lust?" At this point he knows these palettes almost as well as I do. 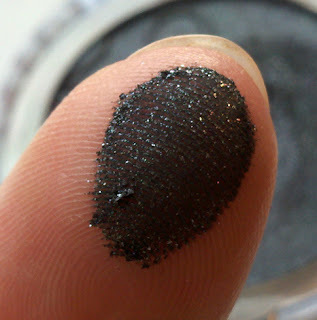 Lust has six shadows, three matte shades and three sparkly shades. Like all of Wet n Wild's palettes the colors and finishes compliment one another for a variety of looks from dramatic to romantic. All of these shadows apply smoothly and opaquely. The only shades that need two passes to build them up are the two matte purple shades. While you need to give them a little more product, I experienced very minimal fallout. As mattes go, these are really easy to work with. The top left shade is a soft matte baby pink. It is a great highlight color and looks lighter the more you build it up. The middle left shade is a matte wine/grape. It is a tad patchy on the first pass, but builds up nicely with very minimal fallout. 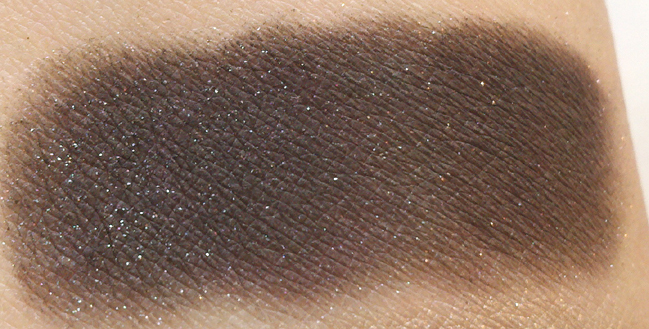 The bottom left shade is a dark matte eggplant color with the sparsest glitter in it. 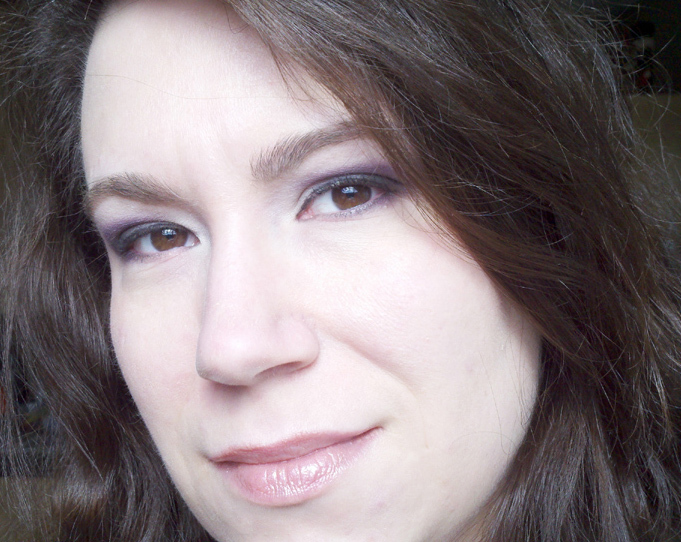 Like the other matte purple, it has a tendency to apply patchy, but you can easily build it up. Again, very little fallout, which is lovely for a dark matte. The top right shade is a sparkly frosted ivory. 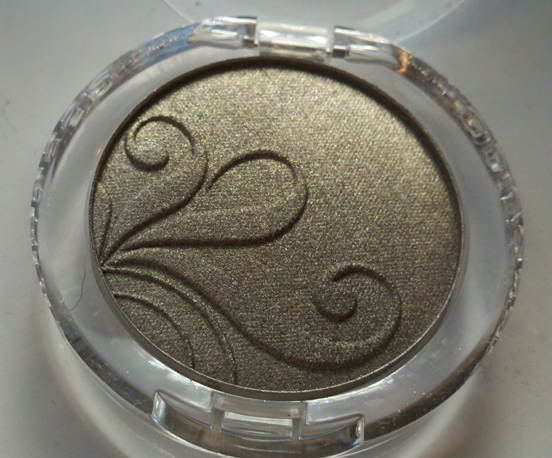 This shade is velvety and imparts just the right amount of sparkle, it's not obnoxiously frosty. It pairs nicely with the mattes in the palette. The middle right shade is a sparkling gun metal. This was my favorite. It is the perfect mid-tone grey. Sometimes gunmetals care so dark they lose their character. This is just perfectly in the middle. 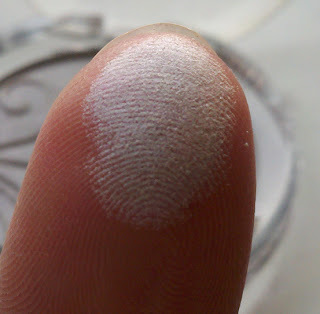 You can use this on you lid, as I did in the look below or use it to darken up your crease. Very versatile shade. The bottom right shade is a black base with a burgundy tinge and a good amount of pink and purple sparkle throughout. Using this over a primer or other sticky base will intensify the sparkles. I used every shade in the palette for a dramatic look. 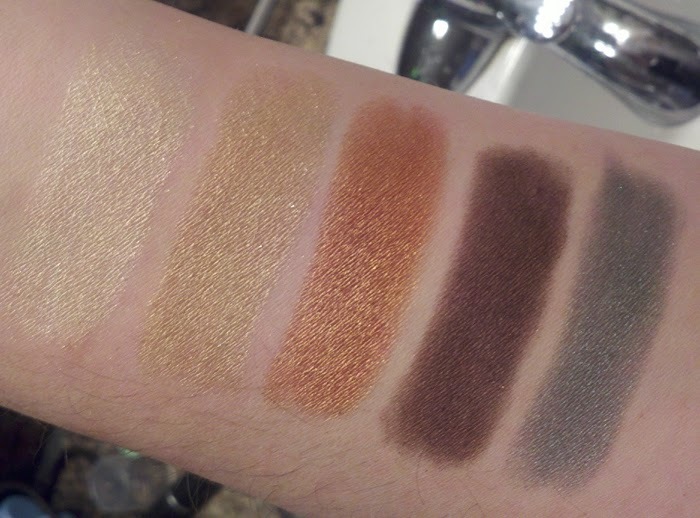 You can't miss with Wet n Wild palettes, the quality of shadows is excellent, the choices of finishes work almost universally and the colors they select work really well together. This may not always be apparent when looking at the palette, but when you use it, you realize they know what they are doing. 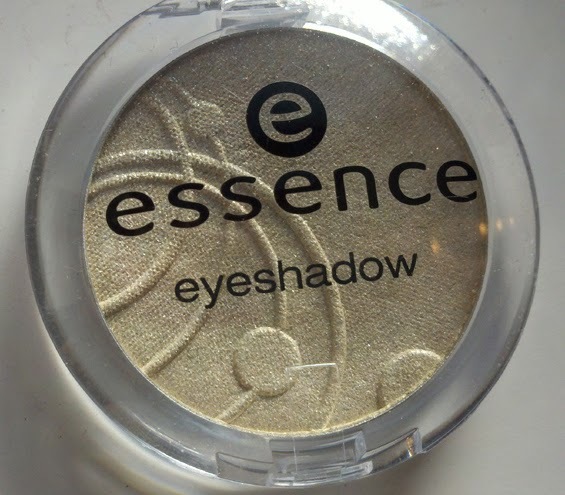 Here is another offering from Essence Cosmetics, which is a German brand that already has a strong following in Britain and throughout Europe. Think of them as a beauty peer of Wet n Wild. I've reviewed quite alot of Essence this month, mainly because the products I try lure me in further. I've been pleasantly surprised and these are no exception. We are going into pic heavy review mode...see you on the other side! 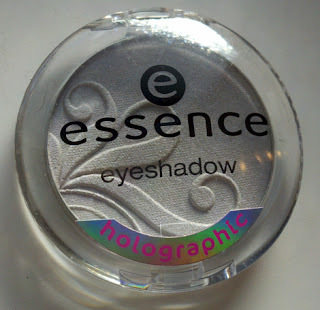 Holographic! That's like....space makeup. It's a super neato way of saying duochrome. Mystic Purple is a frosted white with a strong lavender duochrome. Is has a velvety texture and applies semi opaquely. 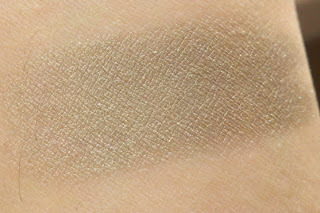 Due to my skin tone, arm swatching doesn't show the duochrome very well. If you have TBN Fairy Wings, it's similar to that effect, only not as luminous. This is a wonderful shade for illuminating the inner corner of your eye or for fun highlighting. Dance All Night is another frosty shade. It is a golden ivory with silver and gold sparkle. Dance is so incredibly pretty in person. It almost looks as if it's been brushed with twinkling diamonds. I dare you to pass this by a sunny window and not play with it...I just dare you. 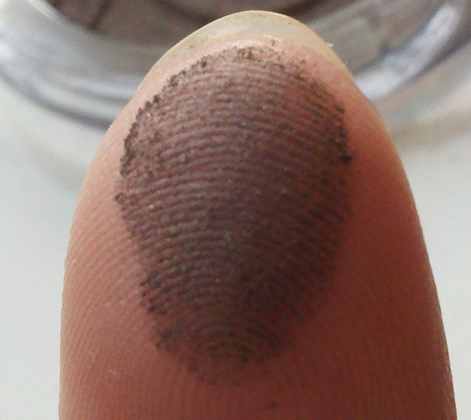 This applies close to fully opaque and has a metallic sheen to it. 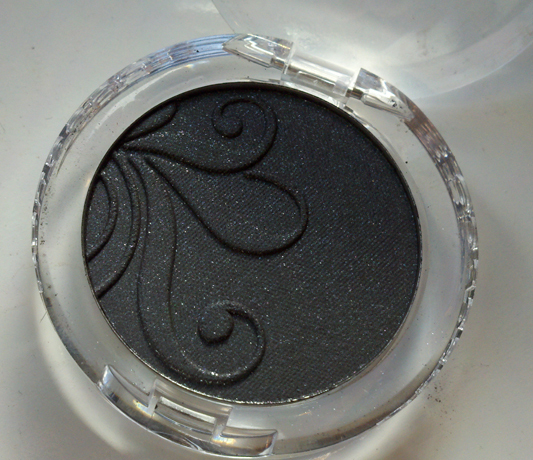 It looks lovely as a brow bone color or applied in a wash across the lid. 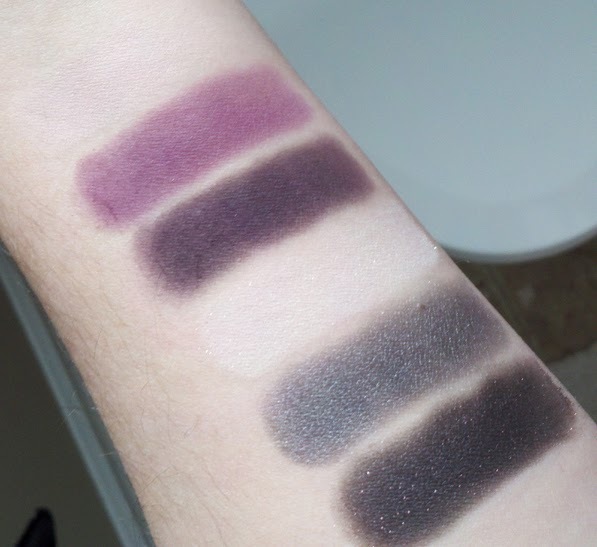 I am not sure why I bother arm swatching some of these...girl needs some sunlight! It's pretty though and lots of fun to play with. This was my favorite performer out of the bunch. 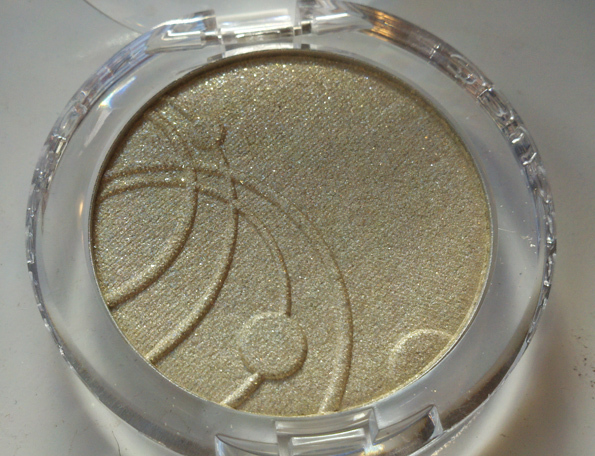 It is a golden olive, similar to MAC Sumptuous Olive, less green perhaps. All of these shadows are so silky to the touch, they feel very rich and the color payoff on Back to Khaki was superb. 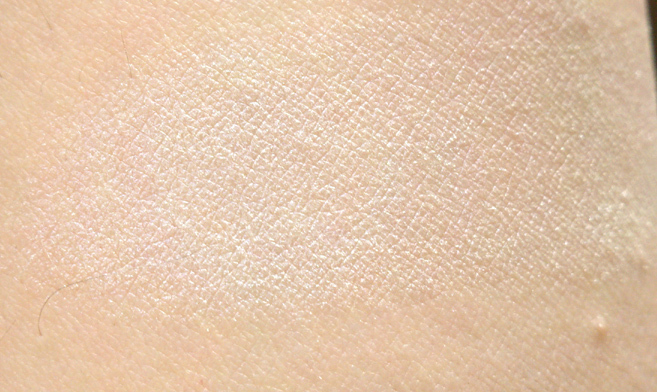 It was opaque, applied easily, blended beautifully and was an all around great neutral shade. This shadow will easily find it's way into regular rotation. For all my love of this shade, I do not feel the photos do it justice. I feel the lighting is washing out some of the depth. If you like olives and khakis, you will love this. 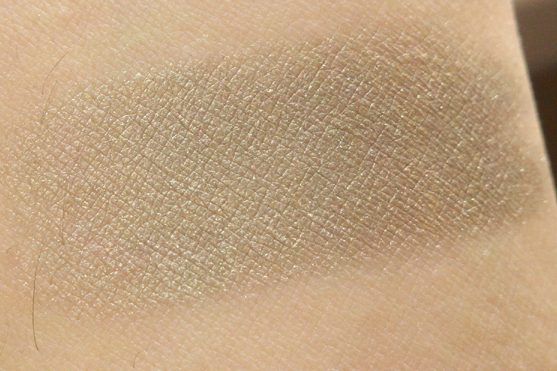 Toying with my emotions is not cool eyeshadow, not cool at all. 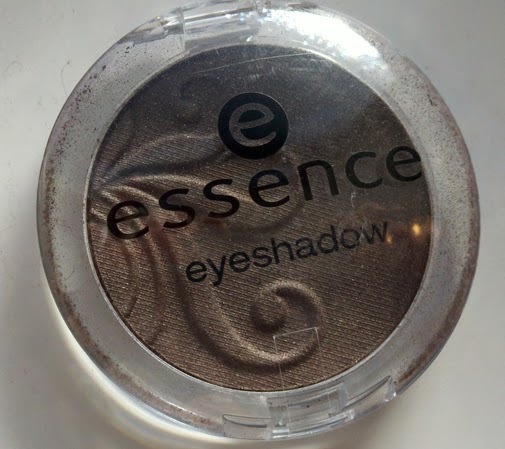 As I sat crouched in front of the Essence display at ULTA, this was the first shadow that caught my eye and my hand shot out in some eyeshadow grabby reflex. Get Ready! 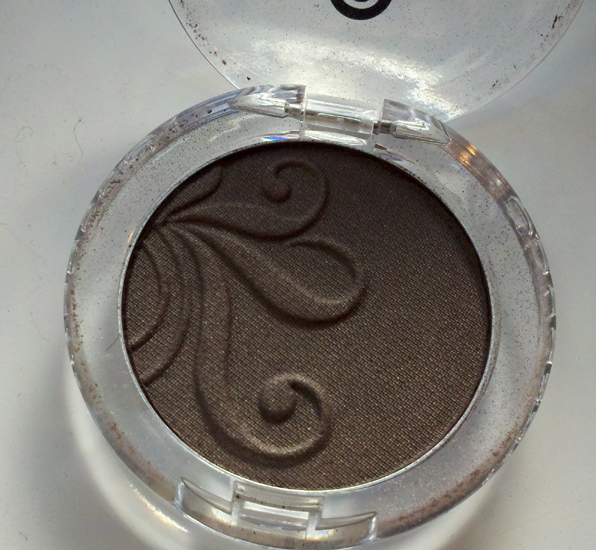 is a warm, rich shimmery chocolate taupe, like no other color I own. 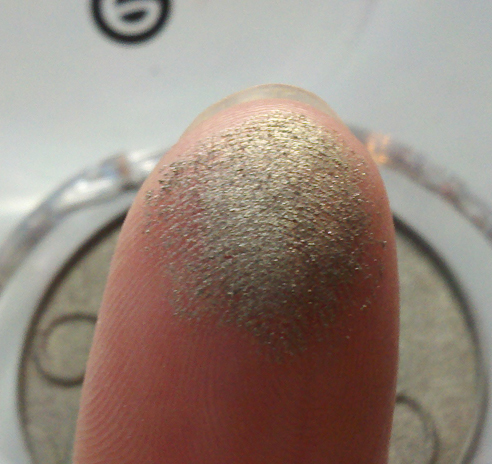 And when I swatched this on my finger at ULTA, double sigh. I mean this shadow set the bar very high. Get Ready! was so unbelievably awesome, I just sort of blissed out during the entire car ride back. Then I got home......why are you swatching like garbage now? I had to work and work to get this swatch. It was patchy, there was fallout all over my floor, I was devastated. I could not understand what happened. 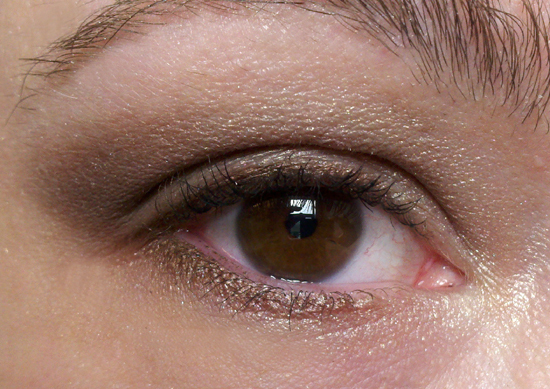 But, the thing is, even though it arm swatched like a bag of hammers, it applied to my eyes really well. It was opaque, smooth, blended great and only minimal fallout. So take this as you will. I would re-buy it, ultimately I think it is a good shadow. Y u no swatch good? The final shade I chose was Black Goddess. This is a deep charcoal grey with fine multi colored sparkles. Black Goddess reminds me of a slightly less intense version of MAC Black Tied. 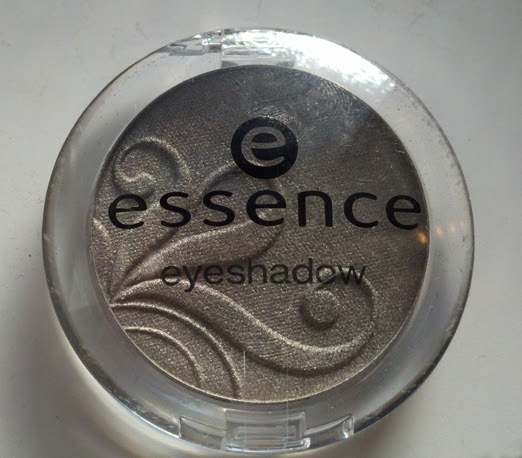 It is ideal for creating a smokey eye or darkening up your crease. Sometimes blacks and greys can apply so densely that blending them out can be a chore but this was really easy to work with. 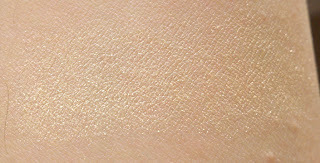 The sparkles help brighten the shadow and add a nice to dimension to your looks. 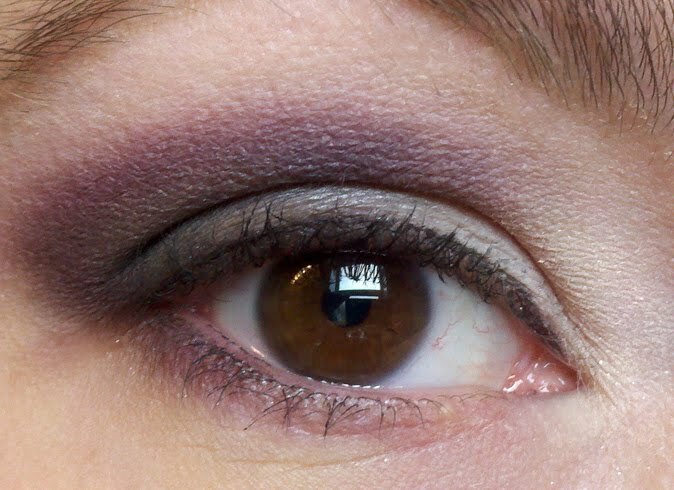 Here is a very simple smokey eye look using almost all the shadows (Black Goddess missing) I applied this over Too Faced Shadow Insurance and experienced very little fading over 8 hours and no creasing. So, final review. I think these are excellent shadows. 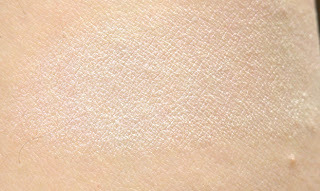 They are affordable, pigmented, opaque and apply easily. The brand offers some amazing brights in this line, sadly my display was wiped out. =( I am curious to see how the matte shades perform and I hope to review them soon. If you have an ULTA, see if they have an Essence display so you can go play with these in person. Let me know what you think.